We are a locally owned and operated company specialising in providing Shore Excursions for cruise passengers visiting our beautiful home town. 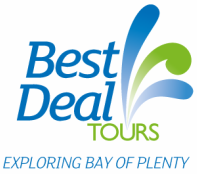 Our tours showcase the very best of Tauranga and Rotorua. 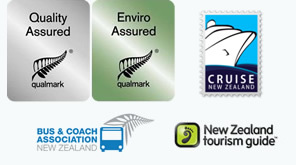 We are a Qualmark endorsed tour and transport service provider - businesses that carry the Qualmark logo have been independently assessed as professional and trustworthy, so you can book and buy with confidence. 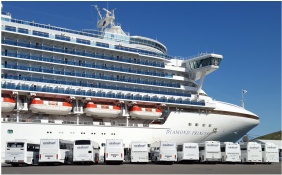 Our professional team take pride in providing first class service right from the first email you send; through to greeting you at the port and delivering you back ship side at the end of a fabulous day. Professional, friendly and fun - our team love what we do and it shows! Let us take you on a journey and show you why this is such a stunning part of New Zealand.